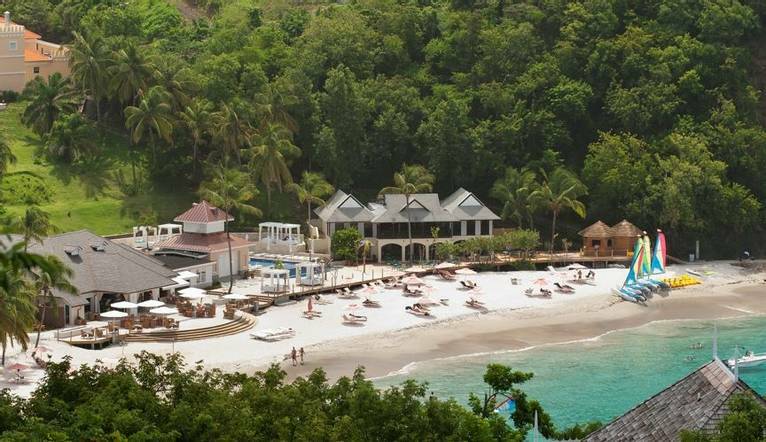 September Solos at BodyHoliday, Saint Lucia is a month dedicated to the solo traveller. Once again we have exclusive access to the September Solos experience at this truly wonderful, recently refurbished resort hotel. September Solos has been created specifically for the independent single traveller and groups of friends looking to enjoy an active holiday with like-minded people. For those wanting a holiday dedicated to solo travellers, BodyHoliday Saint Lucia offers a very special experience. During the month of September, the resort, with you, designs a personalised schedule of daily spa treatments, fitness classes and an entire array of sports on land and water. Plus the resort organises an assortment of hosted group activities that range from cocktail and dinner parties to sunset cruises. As this is a designated solos month there will be no Solos Tour Leader as the BodyHoliday provides 'Bodyguards' to assist all your needs throughout your stay. The four pillars BodyHoliday is providing their guests is exercise, restorative beauty, relaxation and of course a good diet. In each of the all-inclusive resort's restaurants, the chefs strive to offer you a 5 star culinary experience. They believe food at the BodyHoliday should be enjoyed. You will certainly be spoilt for choice! Choose to self-dine or eat with new found friends at the hosted dinners. If you fancy getting out and about, the beautiful island of St Lucia has much to offer. Situated close to the BodyHoliday in the north west of Saint Lucia, Rodney Bay has some of the best shopping, bars and restaurants on the island. Rodney Bay is also a mecca for yachting, plus it is here that the island’s longest stretch of white sand, Reduit Beach, can be found. Also close by is Gros Islet village, where the much loved friday night street party “Jump Up” takes place. Located on the northwest tip of the island, this luxury resort sits directly on Cariblue’s crescent beach, surrounded by 42 acres of lush tropical gardens. Facilities include 6 restaurants, Cariblue, Clubhouse, Pavillion Grill, Cariblue Windows, I-Tal restaurant, and the excellent TAO, serving a pan-Asian menu in a stylish setting overlooking the beach. There is also the Deli, the Clubhouse Bar, wine cellar and the elegant Piano Bar. Extensive sports facilities include 3 swimming pools, a Jacuzzi, 2 floodlit tennis courts, a watersports centre, wellness centre and Golf Academy. Overlooking the resort, The superb Oasis hosts the treatment rooms, exercise studios, its own swimming pool and yoga pavilion. The exquisite Pavitra Temple offers a range of holistic Ayurvedic treatments (extra charges apply). Our beautifully decorated garden view rooms all feature a queen sized bed, marble bathrooms, air-conditioning, safe, bathrobe and hairdryer. The transfer from the airport to the BodyHoliday is approximately 1 hour and 30 minutes. Following confirmation of your booking you will receive instructions and a booking reference number that you can use to pre-book all of your activities and treatments directly with the BodyHoliday. We recommend you do this in advance to ensure all your required activities and treatments are booked for a time that suits you. Don't worry if you want to do it once there as the friendly 'BodyGuards' will be on hand to assist you. There is often confusion on the question of gratuities, since it frequently depends on the type of holiday, location and, of course, your attitude towards tipping, as to what is normally expected. In order to give you a rough idea, we have given appropriate guidance below. Your Tour Leader will be on hand to offer advice or suggestions if required but gratuities are offered entirely at the sole discretion of the individual. We suggest a group collection to cover drivers, porters and hotel staff of $15.00. Your Tour Leader will collect this on your behalf and distribute it accordingly, thus relieving you of the burden of who, when and how much to tip. The tipping of housekeeping will be left to your individual discretion (a small amount left in your room on departure should cover this and would be much appreciated). As is customary, ‘the hat’ will be passed around for the driver and guide on all optional excursions. For any meals that are not included in your itinerary, or taxi fares, your Tour Leader can advise of an appropriate add on. Casual, cotton, lightweight daytime wear is the order of the day. Comfortable shoes are a must for activities and sightseeing. Smart casual clothes will be ideal for the evening, with the emphasis throughout being informal but with no shorts or vests in the restaurants in the evenings. All bookings are subject to a £300.00 deposit plus Atol Fee- This change supersedes the brochure deposit table.